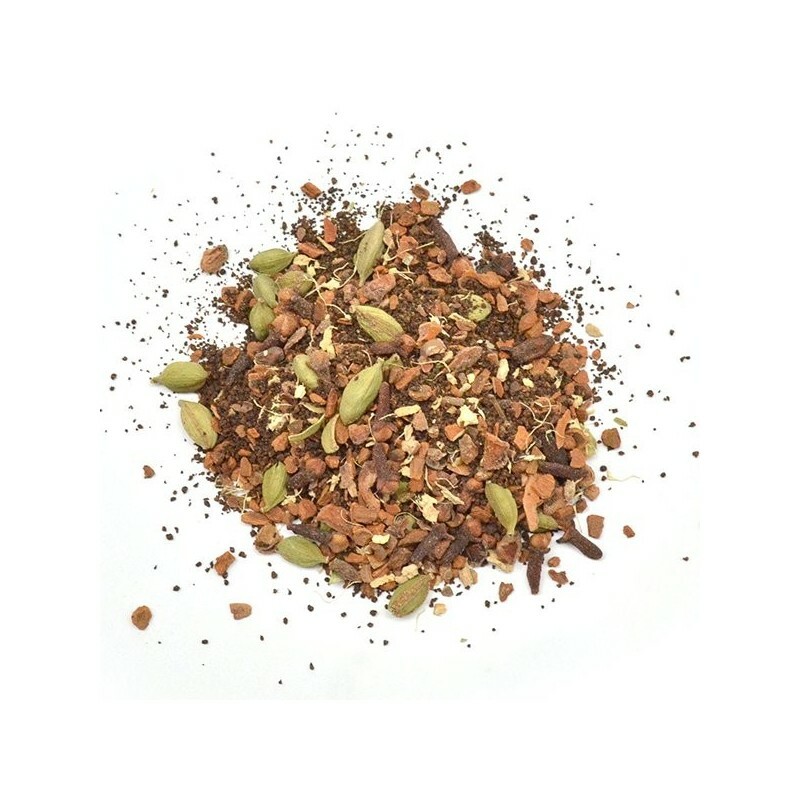 An organic and fair trade loose leaf black tea with a delicious variety of traditional chai spices. 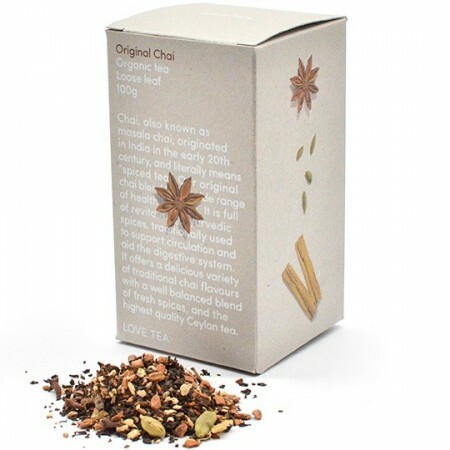 Chai, also known as masala chai, literally means spiced tea. This blend is full of naturopathically selected ayurvedic spices traditionally used to support circulation and aid the digestive system. 100g of loose leaf tea. 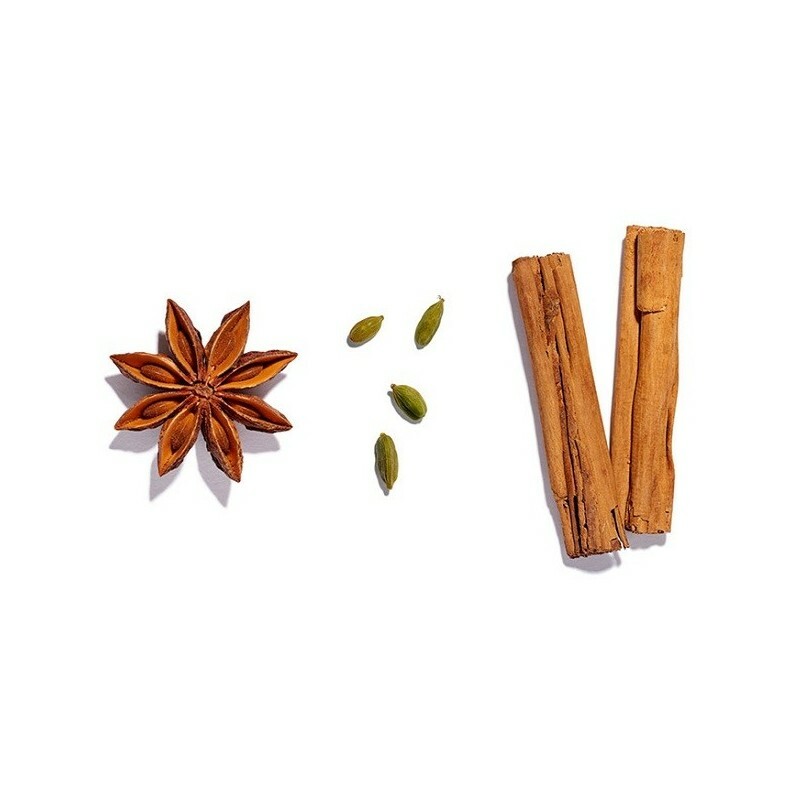 A blend of traditional ayurvedic spices. Helps support circulation and aid the digestive system. Well balanced blend of fresh spices with an earthy taste. 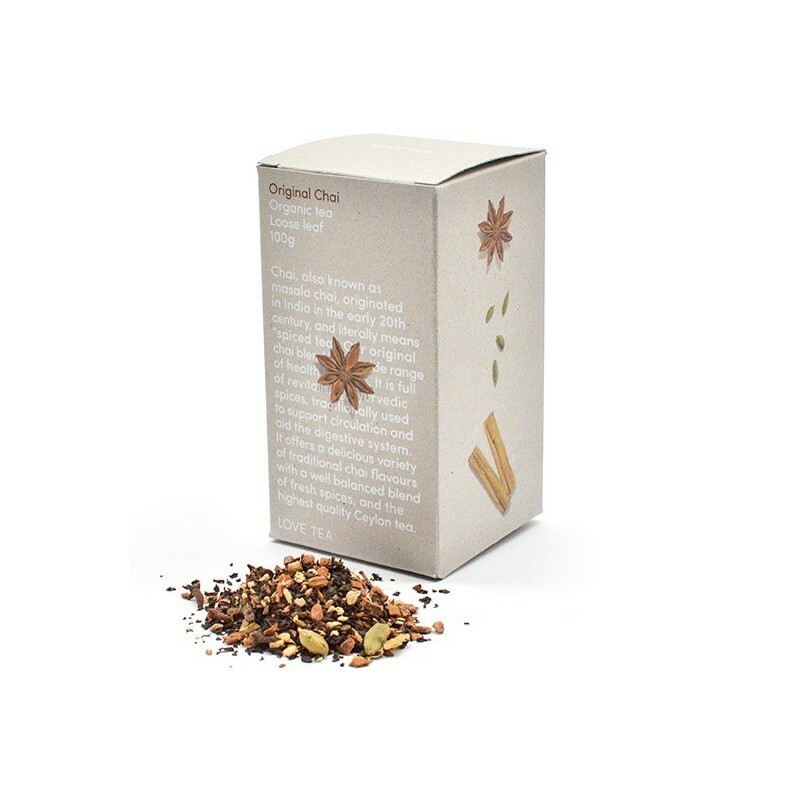 Certified Organic black tea*, cinnamon, star anise, cloves*, cardamom*, ginger*, white pepper*, black pepper*. * Fair trade ingredients.